I have a few flying geese done this week for the Rainbow Scrap Challenge 2013. And as Leaders and Enders I got a few more spools done. I still have a few more to sew before I can consider sewing them together. I really need Red ones. 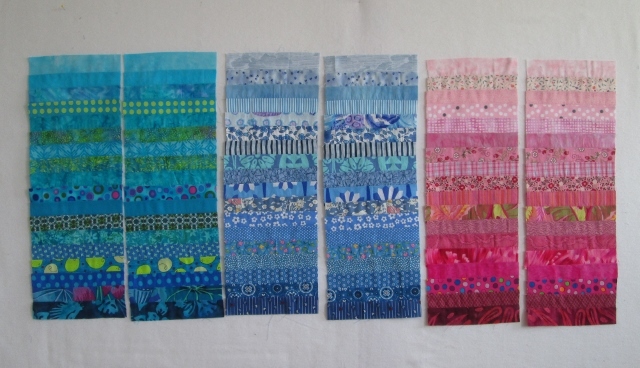 I have six more coin strips done. The first two are very blue/green, then lighter blues and pink. I needed to get caught up. 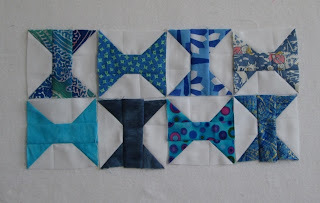 I have added today's post the to linky party over at Soscrappy, head over to see what others are doing with their scraps. I have not mailed out my other nine slabs yet. I got one more done. I just had to send a pink one. I now have 10 slabs for the southern Alberta / Calgary floods. 10 slabs is half a quilt. 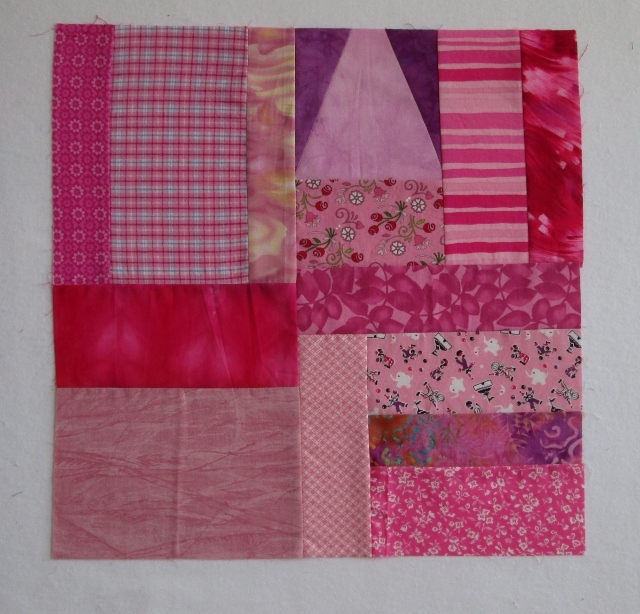 I think it takes 20 blocks to make one quilt. Now to send them out. Beautiful flying geese and spools, Cathy. I enjoy seeing your coin strips come together. You have a lot of pretty fabrics. Great blocks. I love the slab. Great gift of love. All your projects are looking really great! Youhavebeen busy! Your scraps will be so happy in a slab quilt for Calgary...that is quite a lot of scraps you cleaned out if you made 10 blocks! 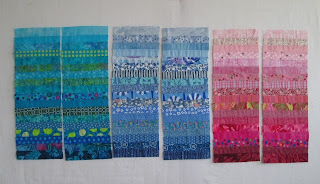 Yummy, yummy fabrics - you've got such a lovely collection of "not blue, not green"! 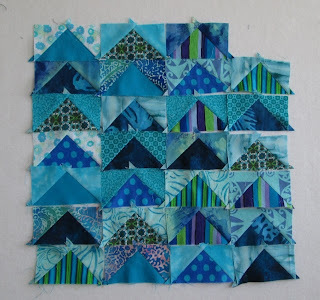 Love the blue geese on a field of blue, and all your other doings.